본 연구에서는 뉴스미디어 이용과 인터넷토론효능감이 온라인 정치 참여에 미치는 영향을 성별에 따라 분석했다.2018년 지방선거 중 서울시장 선거를 배경으로 온라인 설문을 실시했으며 총 447명이 연구에 참여했다. 주요 분석결과는 첫째, SNS나 메시징 서비스 등 온라인미디어의 뉴스 이용 정도와 인터넷토론효능감에서 성별 차이는 유의미하지 않았다. 둘째, 인터넷토론효능감이 정치적인 의견표명에 미치는 영향력의 경우 유의미한 성별 차 이가 나타났다. 남성에 비해 여성은 인터넷토론효능감이 정치적인 의견표명에 기여하는 정도가 더 높은 것으로 관찰됐는데 이와 같은 분석결과는 정치 참여에서의 성 별 차이를 극복하는 방안을 시사하고 있다는 점에서 의의가 있다. This study analyzed the effects of news media use and Internet discussion efficacy to the political participatory behaviors (news media involvement behavior and opinion expression in comments on supporting candidates) with special interest in the gender gap. 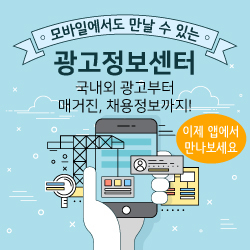 An online survey was conducted in the Seoul mayoral election in 2018, and a total of 447 people participated in the survey. The main results were as follows: First, gender differences were not significant in the degree of news use of online media such as SNS or messaging service, and Internet discussion efficacy. However, the degree of active participation on-line was higher for males than for females. Second, the influence of internet discussion efficacy on political opinion expression showed significant gender difference. The results of this analysis suggest the ways to overcome the gender differences in political participation. “모든 기업은 미디어 기업이다”는 슬로건으로 대변되는 ‘브랜드 저널리즘(brand journalism)’은 마케팅에 대한 대중의 불신과 혐오가 극에 달하고 미디어 환경의 변화로 기존 마케팅 효과가 의문시되는 상황에서 탄생한 기업의 자구책이다. 기업이 언론 의존도를 줄여나가면서 자체 미디어를 통해 광고와 홍보를 하겠다는 것은 언론의 생존 자체를 위협할 수 있다. 모든 기업이 미디어 기업이 되는 세상에서 언론은 어떻게 해야 살아남아 공적 기능을 수행할 수 있을 것인가? 이 질문은 사회적으로 큰 의미를 갖는 것임에도 거의 제기되지 않고 있다. 본 연구는 그런 문제의식을 갖고 언론의 관점에서 브랜드 저널리즘을 탐구하면서 브랜드 저널리즘이 강요하는 언론개혁의 전망에 대해 논한다. 제안은 네가지다. 첫째, 언론은 ‘협박식 영업’을 하지 않는 최소한의 ‘시장 논리’가 작동하게끔 해야 한다. 둘째, 언론은 대중의 불신과 혐오를 넘어서기 위해 신뢰를 회복하는 데에 모든 노력을 경주해야 한다. 셋째, 언론은 이상과 현실의 괴리를 줄여나가기 위한 솔직함을 보여야 한다. 넷째, 언론은 현재 추종하는 흥미성의 개념을 재정의해 언론 본연의 경쟁력을 찾아야 한다. 이런 요구의 수용 여부가 언론개혁은 물론 언론생존의 성패를 좌우할 것이다. Brand Journalism, which is represented by the slogan “Every company is a media company”, is a self-rescue strategy of companies formed in the situations that the public’s distrust and hatred at the marketing reaches a peak and effects of the existing marketing is doubtful because of the change of the media environment. The possibility that companies execute advertisement and public relations through their own media in accordance with reducing their reliance on press, would threaten surviving of press itself. How can press survive and perform public roles in the world where every companies become media companies? This question is rarely raised despite of its social significance. With such a question, this study explores brand journalism and discusses press reform forced by brand journalism in the perspective of press. There are four suggestions. First, press should make minimum ‘market logic’ operates without ‘intimidating sales.’ Second, press should make every effort to restore trust to overcome distrust and hatred of the public. Third, press should show their honesty to reduce the gap between ideals and reality. Fourth, press should redefine the concept of interest they currently follow to find their own competitiveness. The success of survival of the press as well as press reform depends on the acceptance of these suggestions. 본 연구는 리얼리티 프로그램이 성역할 고정관념을 어떤 방식으로 재생산하는지 검토한다. 이를 위해 양가적 성차별주의 이론과 미디어 프레임 이론을 결합한 분석틀을 제시하고, 리얼리티 프로그램의 성역할 고정관념 연출프레임을 분석했다. 연구결과, 성역할 연출프레임의 일정한 사용패턴이 확인되었다. 첫째, 성역할 묘사 장면은 평균적으로 전체 방영시간의 약 5-10%를 차지하고 있으며, 성역할 고정관념이 가장 많이 드러나는 영역은 가사 및 육아 영역으로 나타났다. 둘째, 가장 빈번하게 사용된 연출프레임은 남성의 해방적 성역할 프레임과 여성의 온정적 성차별 프레임인 것으로 조사되었다. 방송에서 남성의 전통적 성역할에 대한 경계는 흐려지고 있는 반면, 여성에게는 더 넓은 범위에서 여전히 전통적 성역할이 강조되고 있음을 발견했다. 셋째, 성역할이 묘사되는 장면에서 언어적?비언어적 연출요소들이 성차별 연출프레임을 구축하고 있으며, 각 연출프레임마다 연출요소는 차별적으로 사용되는 것으로 나타났다. 넷째, 제작진들은 연출 프레이밍에 있어서 주로 남성 등장인물을 중심으로 성역할에 대한 시각을 풀어나가고 있었다. 이 때 연출된 남성 등장인물의 관점은 곧 제작진의 해석이 내포된 것으로, 결과적으로 시청자들은 등장인물이 처한 상황에 대해 제작진의 해석 및 평가를 받아들일 가능성이 있다. 다섯째, 같은 연출프레임 내에서도 등장인물의 성별에 따라 사용되는 연출요소에 미묘한 차이가 있음을 발견했다. 마지막으로, 연구결과에 근거하여 성 평등적인 프로그램 제작을 위한 연출지침을 함의에 제언했다. This study examines how reality TV shows reproduce gender role stereotypes. To this end, it proposed an analysis framework that combines ambivalent sexism theory with media frame theory and analyzed gender role stereotypes in reality TV shows. As a result, the pattern of use of the directing frames on gender roles has been identified. The study describes 5 key results. First, scenes describing gender role account for about 5 to 10 percent of the total broadcast time and the areas with the most gender role stereotypes emerged as areas of household and child care. Second, the most frequently used directing frames were found to be the emancipated gender role frame of male and the benevolent sexism frame of female. Third, in the scene where gender roles are portrayed, linguistic and nonverbal elements compose the sexist directing frames, and the directing elements are used differently for each directing frame. Fourth, production teams were inclined to represent their views on gender roles mainly through male characters. Fifth, the study found that even within the same directing frames, there were subtle differences in the directing elements dependent upon the gender of the characters. Finally, the study suggests future directing guidelines for gender equality TV show production. 이 연구의 목적은 장애인 영상 제작자의 미디어 제작활동과 생애전환점 분석을 통해 미디어의 장애인 재현에 대한 문제점과 개선방안을 도출하고 소수자-되기 실천의 함의들을 도출하는 데 있다. 이를 위해 이론적 논의에서 프랑스 후기구조주의 사상가인 질 들뢰즈(Gilles Deleuze)와 펠릭스 과타리(F?lix Guattari)의 소수자 이론을 검토한 후 이탈리아의 정치철학자인 조르조 아감벤(Giorgio Agamben)의 ‘호모 사케르(Homo Sacer)’의 사유를 탐색하고자 한다. 이를 토대로 장애인 영상제작자와 인권동호회 영상제작자들을 연구 참여자들로 선정하여 심층인터뷰를 실시하고, 질적 연구방법의 하나인 미디어 비오그라피 연구를 적용해 분석하고자 한다. 이 연구의 의의는 미디어의 장애인 재현과 주체적인 미디어 제작 활동들을 생애사적으로 분석하여 한국 사회의 장애인 미디어 환경을 개선할 수 있는 기초 자료를 제공하는 데 있다. The purpose of this study is to elucidate the problems of representing the disabled in the media, suggest the improvement and to derive implications of ‘Becoming minority’ practice through analyzing the media production activities by the disabled and the turning point in life of the disabled producers. For that, this study will examine the minority theory of Gilles Deleuze and F?lix Guattari, the late post-structuralist thinkers of France, and explore thought of ‘Homo Sacer’ suggested by Italian political philosopher Giorgio Agamben. Based on this, we will conduct in-depth interviews with selected disabled people who produce video and people who belong to human rights groups for video production. This study apply the media biographical research which is one of qualitative research methods for analyzing result of interviews. The purpose of this study is to provide a basic data to improve the media environment of the disabled in Korean society by analyzing the reproduction of the disabled in the media and subjective media production activities by the disabled. 본고의 목적은 한국 방송정책 가치규범이 작동되었던 양식을 시론적인 수준에서 역사적으로 탐구하는 데 있다. 이를 위해, 본고에서는 먼저 방송정책의 가치규범이 특정한 사회적·역사적 조건 속에서 구성되는 것이라는 문제의식으로부터, 나폴리의 공익이념의 분석틀과 ‘문화적 착근성’이라는 개념에 착목하여 방송정책 가치규범의 작동양식이 가진 특징을 검토하였다. 연구결과, 네 가지의 특징을 도출하였다. 첫째, 1990년대 이전 방송정책 가치규범체제의 작동양식은 주로 방송시장의 자율성보다는 반공주의와 산업화에 대한 국가의 역할을 중요시하는 문화적 착근성에 의하여 특징지어졌다. 둘째는 ‘정책가치규범의 우선순위 혼란’ 혹은 ‘최우선 정책가치(공익성/공공성)와 하위 정책가치(경쟁/산업성) 간의 역전현상’이며, 셋째는 신규매체에 대한 정당성 부여의 경향성이며, 넷째는 정책가치규범의 정책적 실효성의 감소가 빈번히 발생하게 된다는 점이었다. The purpose of this paper is to historically explore the modes on which Korean broadcasting policy ideas was activated on a preliminary level. To this end, this paper examined the characteristics of the operation style of the broadcasting policy ideas from the question that it consisted of certain social and historical conditions, to the analysis frame of the public interest concept in Napoli’s and the concept of "cultural embeddedness". As a result of the study, four characteristics were derived. First, the operational pattern of the pre-1990s broadcasting policy ideas was characterized by a cultural embeddedness that placed more importance on the role of the state in anti-communism and industrialization than on the autonomy of the broadcasting market. The second was the reversal phenomenon between the "priority confusion of policy idea" or "best policy idea(public) and sub-policy idea(competitive/industrial)", the third was the tendency to justify new media, and the fourth was to frequently reduce the effectiveness of policy idea. 역사드라마에서 흥미로운 영역 중의 하나는 작가가 역사적 상상력을 활용하는 방식으로 어떻게 역사적 사실로부터 특정 사건들을 선택하고 재배열하며, 개연적이거나 허구적인 사건들을 만들어내는가에 있다. 이것은 역사드라마의 역사의 소환과 재현방식에 관한 것이다. 이 논문의 목적은 역사드라마 〈미스터 션샤인〉이 역사를 소환하는 전략을 분석하는데 있다. 〈미스터 션샤인〉은 세 가지 방식으로 역사를 소환해서 재현했다. 역사의 전경화(前景化) 전략은 증거로서 역사를 재현하고 특정 장소를 의미화하는 것이다. 〈미스터 션샤인〉는 신미양요나 정미년 남대문 전투 등을 당시의 증언, 사진, 역사기록을 바탕으로 사실적으로 묘사함으로써 역사성을 높이면서 시청자로 하여금 실제 역사 속으로 몰입시킨다. 역사의 중경화(中景化) 전략은 역사기표들 중에서 선택가능한 것을 선별해서 드라마의 외적 개연성과 내적 개연성(허구적 상상력)을 높이는 것이다. 고종의 예치증서, 밀지, 제국익문사 등의 역사기표들은 허구적 인물, 실존인물, 개연적 인물들과 결합되어 서사의 중심을 이끌어간다. 역사의 배경화(背景化) 전략은 역사 시간과 공간을 압축하면서 재배열하는 것이다. 〈미스터 션샤인〉은 1902년~1907년까지를 다루고 있지만, 1870년대부터 1930년대에 나타나는 풍물, 유행, 문화 등을 압축해서 보여준다. 이것은 서사에 직접 개입하기보다는 서사 뒤에서 이야기를 보완해주는 기능을 수행한다. 〈미스터 션샤인〉은 세 가지 전략을 바탕으로 낭만적 사랑의 좌절을 세 가지 층위(동지적 사랑, 절대적 사랑, 배려적 사랑)에서 그려냈다. 이것들이 시청자를 역사 안으로 끌어들이는 역사효과를 만들어냈다고 평가할 수 있다. It is one of quite interesting points to explore the ways in which a historical drama author selects and composes specific events from historical facts, and makes up fictive stories. This means that calling and representation of historical facts is an essential factor in the analysis of historical drama. In this context, this study investigates imaginative strategies on the historical drama, 〈Mr. Sunshine〉(2018, tvN). 〈Mr. Sunshine〉 uses the strategy of ‘history foreground’, which represents historical evidences and signifies the specific place. ‘Shinmeeyanggye’(Invasion of Korea by the three U.S. warships in 1871) is vividly portrayed, based on historical records, photographies and testimony. The strategy of historical background contributes the audience to enter into imaginative history. Secondly, the strategy of history middle-ground is to fill the gap between external probability(historical facts) and internal probability(story telling), inviting Kojong(a king of Chosun Dynasty)’s depository receipt, secret orders and the secret organization. Thirdly, the strategy of history background is to rearrange and compress historical time and space. Though 〈Mr. Sunshine〉 depicts historical facts from 1902 to 1904, it shows fashion, culture, scenery and customs from 1870s to 1930s. 본 연구는 사회적 시청(TV 시청과 온라인 대화의 결합) 환경에서 드라마 품질과 개방성이 시청만족에 미치는 영향을 분석하였다. 이를 위해 드라마의 품질과 개방성을 중심으로 4가지 드라마 유형을 제시하였다. 품질과 개방성이 모두 높은 열린 텍스트, 품질은 높으나 개방성이 낮은 닫힌 텍스트, 품질은 낮으나 개방성이 높은 느슨한 텍스트, 품질과 개방성이 모두 낮은 고정된 텍스트이다. 연구 결과, 열린 텍스트 유형의 드라마에 대한 시청 만족도가 가장 높았고, 고정된 텍스트에 대한 만족도가 가장 낮았다. 또한 4가지 유형의 드라마에 대한 시청 만족도의 차이가 사회적 시청량에 따라 어떤 변화를 보이는지 분석해 보았다. 연구 결과, 고정된 텍스트의 경우 사회적 시청(시청 과정 및 시청 전후 온라인 대화)이 많아질수록 만족도가 유의미하게 증가하는 것으로 나타났다. 반면, 닫힌 텍스트의 경우 사회적 시청을 많이 해도 만족도에 변화가 없는 것으로 나타났다. 이 연구는 다매체 이용을 통해 사회적 시청이 보편화되는 상황에서 시청자 만족을 향상시키기 위해서는 드라마의 품질 뿐 아니라 개방성에 주목해야 함을 시사한다. This study analyzed the effect of drama quality and openness on viewing satisfaction in the social watching (combining TV viewing and online conversation) context. For this purpose, a typology of four types of dramas was presented focusing on the quality and openness of drama - open text with high quality and openness, closed text with high quality but low openness, loose text with low quality but high openness, and fixed text with low quality and openness. The study results showed that the viewing satisfaction of the open text drama type was the highest and the satisfaction of the fixed text was the lowest. The study also analyzed how the amount of social viewing moderate the effects of the four types of drama on viewing satisfaction. As a result of the study, it was found that the fixed text increased the satisfaction more as the social viewing increased. On the other hand, the closed text shows that there is no change in satisfaction when the amount of social viewing increased. This study suggests that attention should be paid not only to the quality of drama but also to openness in order to improve viewer satisfaction in the social viewing context. 게임 중독은 현재 ICD의 정식 질병에 등재가 논의되는 등 사회적으로 많은 관심을 받고 있다. 그러나 지금까지는 “하는 것”이라는 게임의 특징과 행위 중독간의 관계에 크게 주목하지 않아, 이용자의 개인적 특성이나 게임 장르와 같은 기존의 미디어 측정 방식을 활용하여 게임 중독의 원인과 대상을 추정해왔다. 하지만 게임은 다른 미디어와 다르게 이용자가 게임 내에서 어떤 행동을 선택하느냐에 따라 미디어 경험이 달라지게 되며, 행위 중독은 특정한 행동을 수행하던 중 발생하는 특정한 조건에 의해 그 행동에 중독되게 됨을 설명한다. 두 맥락의 접점은 결국 행동이 행위 중독을 판단함에 있어 중요도가 높다는 것을 의미한다. 이에 따라 본 연구에서는 게임 내 행동이 게임 중독을 예측함에 있어 의미 있는 측정 틀이 될 수 있는지를 검증하였다. 탐색적 분석을 시도하여 확보한 총 세 개의 게임 내 행동 유형을 통해 게임 중독을 예측할 수 있음과, 기존의 게임을 측정하던 방식들과의 비교를 통해 게임 내 행동이 게임 이용 시간만큼 게임 중독을 설명하고 있다는 것, 그리고 게임 내 행동 중 반사회적 행동 요인이 게임으로 인한 현실에서의 부정적 경험을 가장 잘 설명하고 있다는 것을 확인할 수 있었다. 앞으로는 게임 내 행동을 측정하는 더 다양한 이론 및 실증적 연구가 요구된다. Game addiction is currently attracting much societal attention, including the debate on the formal disease of ICD. Until now, however, we did not pay much attention to the relationship between the characteristics of the game, which is "do", and behavioral addiction. We have used the existing media measurement methods such as the user"s personal characteristics and game genres to estimate the cause and object of game addiction. However, unlike other media, games have a different media experience depending on what kind of behavior the user chooses in the game, and the behavioral addiction is explained by the specific condition that occurs during the execution of the specific action. The point of contact between the two contexts means that "what behavior is done" is highly important in judging behavioral addiction. Therefore, in this study, we verified whether the in-game behavior can be a meaningful measurement frame in predicting game addiction. The game addiction can be predicted through three types of in-game behavior obtained by attempting an exploratory analysis and compared with the methods of measuring the existing game, and that antisocial behavior in-game behavior best explains negative experiences in the real world due to the game. In the future, more theoretical and empirical research is needed to measure behavior in the game.meaningful measurement frame in predicting game addiction. The game addiction can be predicted through three types of in-game behavior obtained by attempting an exploratory analysis and compared with the methods of measuring the existing game, , And that antisocial behavior in game behavior best explains negative experiences in the real world due to the game. In the future, more theoretical and empirical research is needed to measure behavior in the game. 이 연구는 온라인 공간에서 사회적 이슈에 관한 상반된 정보를 접한 온라인 이용자들이 어떻게 토론을 하고, 온라인 공간의 여론 전개는 어떠한 양상을 보이는지를 알아보기 위해 TV토론 시청자 게시판을 근거이론방법으로 분석했다. 연구 결과를 살펴보면 우선 온라인 토론의 중심 현상은 “의견 진영화”와 “문제 해결책 논의”가 있었다. 온라인 이용자들은 각자의 정치 진영, 이해관계, 도덕규범을 기준으로 의견을 밝혔고, 이런 의견이 상반된 입장의 진영을 이루었다. 그런데 사회적 이슈가 온라인 이용자의 일상생활과 밀접하고, 문제 해결 의지에 공감대가 넓으면 온라인 이용자들은 문제 해결책을 주로 논의했다. TV토론은 온라인 게시판의 논의에서는 입장 비중의 변화에 제한적으로 영향을 미쳤다. 의견 진영화가 이루어진 이슈에서 TV토론이 도덕적 속성을 부각할수록 게시판의 논의 역시 도덕적인 쟁점에 집중하며 상대측 패널이나 게시자에 대한 비난이 늘어났다. 하지만 TV토론이 이슈와 관련된 이해관계 차이를 부각하거나, 소수 입장에 유리한 정보와 논리를 제공하면 온라인 게시판에서 소수 입장의 이용자들도 의견을 드러내며 침묵 현상의 균열이 나타났다. 이 연구 결과를 바탕으로 온라인 공간이 사회문제 해결을 위한 숙의 공론장이 되기 위해 필요한 조건은 탈도덕적 접근, 삶과 밀접하고 다양한 이해관계가 반영될 수 있는 정보, 차이의 공존 모색이라는 조건이 필요하다는 시사점을 얻을 수 있다. This study aims to investigate how online users react to TV debates on social issues, thus leading to the formation of online public opinion. For this research question, the authors selected 12 issues from televised debates on three major Korean television channels in 2012, and analyzed postings on the online bulletins for the programs, based on grounded-theory method. As a result, the “central phenomenon” turned out to be "polarization of opinion blocks“ and "probing solutions for the problems." In most issues, online users tend to formulate opinions based on their preference for political camps, group interests, and moral norms, and thus a polarization of opinion blocks is prevalent in online debates. However, when agenda are concerned with practical issues of their daily lives, or there emerges a consensus with regards to the resolution of the problem, online discussions attempt to converge on the ways to probe practical measures. In general, online discussions bring about limited changes in the relative composition of positions on the issues. Furthermore, a moralization of the issues in TV debates induces online discussions to focus on moral-ethical aspects of the issues and yield moral blamings on other opinions. Nevertheless, when TV debates underscore areas of group interests in the issues, or provide detailed information and logics useful for minor opinions, minorities are likely to express their opinion more actively. Based on the results, practical implications are also discussed for a revitalization of the ideal of online public sphere. 이 연구는 자발적 시민참여모형을 바탕으로 ‘무엇이 노년층 유권자를 제도적, 비제도적 정치참여로 이끄는지’를 분석했다. 2018년 6?13 지방선거를 앞두고 서울 지역 거주 만 60세 이상 유권자 350명을 대면 조사한 결과, 몇 가지 주목할 만한 연구 결과가 도출됐다. 무엇보다 소득과 교육 수준 등 객관적인 ‘자원’ 요인의 중요성은 낮게 나타난 반면, ‘심리적 동기’가 노년층의 참여적 시민성을 유지하는 데에 더 핵심적인 요인으로 관찰됐다. 특히 스스로의 정치적 효능감에 대한 지각은 모든 유형의 정치참여에서 중요한 동인으로 작용했으며, 노화에 대한 긍정적 인식은 투표 이외 제도적, 비제도적 활동을 포괄한 적극적인 형태의 정치참여를 제고했다. 동원 연결망의 효과는 정치참여 유형별로 상이했으나, 전반적으로 가족이나 다양한 사회연결망의 효과는 뚜렷하지 않았다. 미디어 이용의 효과는 투표 참여와 그 외 정치참여로 대비됐다. 투표 참여에 대해서는 노년층이 정치 정보원으로 가장 의존하는 매체 중 하나인 종편 및 보도전문채널의 영향력이 유의미했으며, 정치적 의견 표명과 공유를 위해 모바일 메신저나 인터넷을 이용한 정도는 적극적인 유형의 정치활동 참여에 기여하는 것으로 나타났다. As South Korea is aging faster than any other developed country, older adults’ roles as citizens attract more scholarly attention. To explore what factors underlie senior citizens’ institutional and non-institutional political participation based upon the civic voluntarism model, this study conducted a face-to-face interview of a total of 350 senior voters in the 2018 local elections in Seoul. Most notable findings are as follows: resources such as income and educational levels did not appear as a contributing factor to seniors’ participatory citizenship while psychological motivations, especially, internal political efficacy significantly facilitated all kinds of political participation. Self-perceptions of aging also appeared important; positive evaluations of one’s own aging experiences led to more active participation in some conventional and non-conventional political activities. Whereas effects of recruiting networks such as families and various social organizations were not very strong overall, media’s mobilizing effects were found to vary depending on the mode of political participation. The broadcasting media showed a significant impact on voting intention while using mobile and internet channels for sharing political messages helped older adults to get engaged in more active political activities.